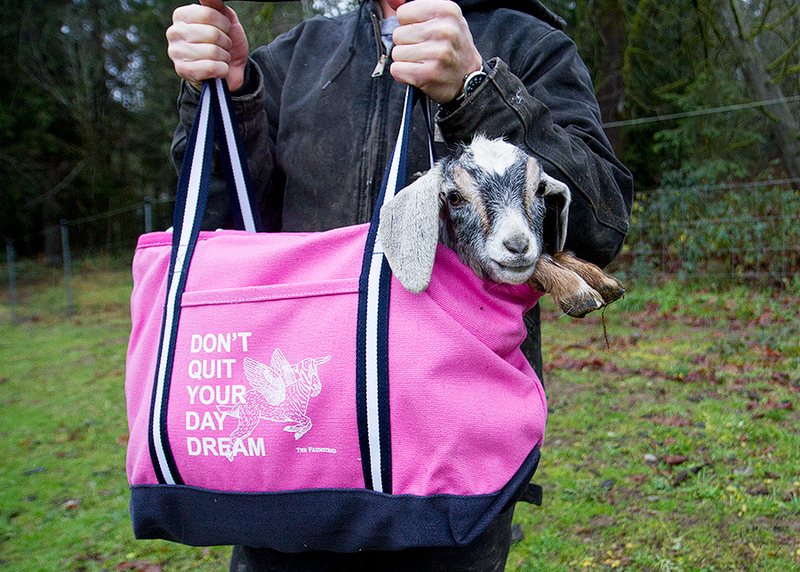 Do you remember when I first started whispering about a goat dairy on this blog? Me too. And, I’ll be honest, a part of me misses those days. I was so naïve and so full of hope for what the dairy could be. Everything was just SO EXCITING. 18 months later and we are literally months away from getting licensed. Like, for real this time. We’ve got a punch list and, believe it or not, it’s only about 30 items long, of all the things we need to finish. And some of them are easy—install door knobs, caulk doorways, hang paper towel holders; some of them are fun—pick lights for outside parlor door, design label for cheese; and some of them are expensive—buy vacuum sealer to seal cheese ($700 to $1,100 price range), buy shelving for cheese cave ($600), buy final molds, packaging, rubber mats (cha-ching, cha-ching, cha-ching). Side note, why were there no Black Friday deals on cheese equipment? I did use Cyber Monday to order my QuickBooks software and NeatDesk for receipt scanning but I would have loved to see a cheese vat discounted to 80% off! If I’m estimating right we have about $4,000 left to spend to finish this dairy. I promise to share the whole price when it’s all said and done. Because as we all know. I have no social boundaries when it comes to love or money. I yam who I yam. Plus, I really really really want to be transparent about how much fun it is to start a dairy (please read that ironically). Don’t get me wrong. I’m still passionate about this dream. And I still want it more than anything. I just kind of feel like my brain is D-U-N, done. Tonight we went for a walk in the woods to collect fallen fir branches to decorate the house for Christmas. Arms full of evergreen and one "it's hard being two" kiddo sufficiently worn out enough to not tear apart our tiny house, we headed inside with just enough time for dinner before Matthew had to head to work for his night shift in the ER. For some reason one of us detoured into the dairy and the other followed. And then one of us had the great idea to look up. And then one of us noticed that the dairy ceiling was leaking. WATER. And then one of us decided that it would be a great time to have another, "I'm still two" meltdown. With no easy answer for where the leak was coming from we put a cooler down to collect any more water and shut the door. The plumber is coming out tomorrow. Matthew could have probably looked at it but he's about to start a long string of 12 hour night shifts. I probably could have made some more guesses as to where the leak was coming from but that tiny little human took priority. This could be our first real crisis as a dairy couple. It won't be the last I'm sure of it. Here's what else I'm sure of. I picked the right person to fight for this dairy dream with. This man has read every single book I have on the subject and has developed his own opinions on how he wants to run The Farmstead’s Creamery. That may sound annoying to some people but to me, it’s not. This dream, much like this farm, was meant to be shared. Plus, that means my brain gets freed up to contemplate what light fixture I want to hang outside the parlor door and his brain power can be used for calculating square footage of dairy board to finish the cheese cave. The truth is this: Crises seem less scary when they're shared. Two year old meltdowns are easier to find comical when you can quietly smirk at each other above the kicking and screaming. And, perhaps most importantly, it's not even an option to quit when it's no longer just your dream. And so, leaking roof be damned. We're still going for a February licensing. Barring, of course, positive pregnancies for our goats. If, for some reason, none of them are pregnant, expect the blog post with me on the ground crying big crocodile tears and throwing a temper tantrum that would put my two year old to shame.